Hello, my name is Shamser. I am the principal of a Primary school in Lamjung, Nepal. 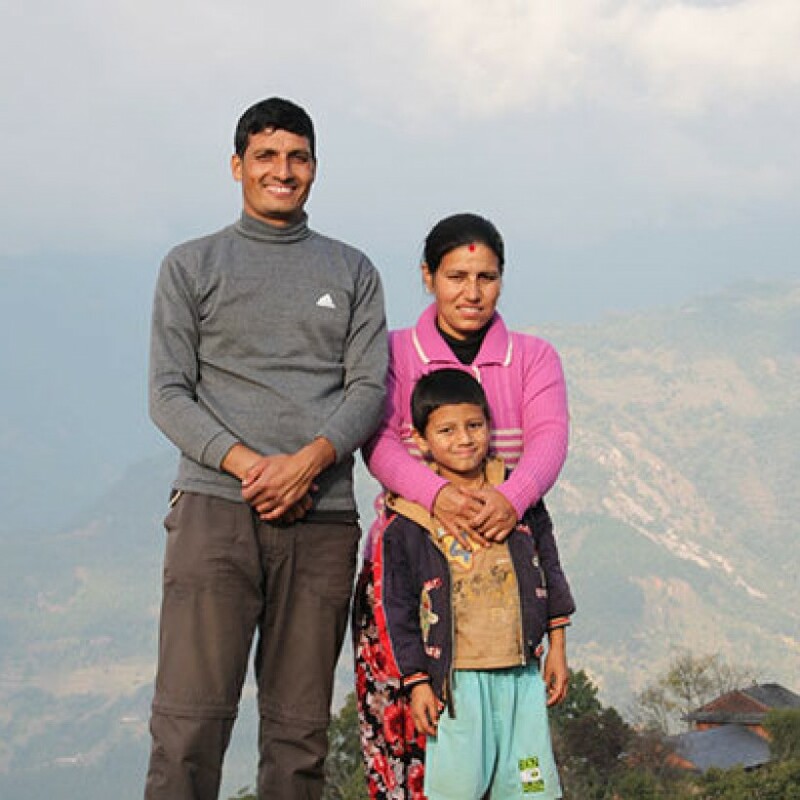 My family has a homestay located in a beautiful part of North-western Nepal on the top of a hill with stunning views of Annapurna, Fishtail, Manaslu, Peak 29 and Lamjung. My village is called Gaunshahar and is the original abode of the royal family of Nepal, which later relocated to Kathmandu. The small palace and courtyard still hosts traditional festivals that attract hundreds, sometimes thousands of people from all around at many intervals during the calendar year. When it comes to the location of Gaunshahar, it is just 4km from the nearest town called Besisahar. That town, which is in the valley below Gauanshahar, is also a starting point of the famous Annapurna Circuit trek (note that you can also get your trekking permits from Besisahar). Our homestay includes shared guest rooms inside my family home and a traditional Nepali eco roundhouse made from stone and a straw roof. These accommodations include western style bathroom, cold shower, limited access to internet and plenty of blankets. Our food is sourced almost entirely from local ingredients and we can accommodate vegetarian diets as well. Other than that we can teach volunteers to cook Nepali food; such as chapati for breakfast and Dal Baht as a main course. Whilst staying with my family, we welcome any help you can give. Previously our volunteers have started a library class project, a teacher training initiative as well as building a clay cob oven, a chimney, and bringing ideas for our vegetable garden. In the past our volunteers also helped to design, plan, and transport rocks and material for the construction of the school. At the moment the main tasks for volunteers include running creative arts and library classes with small groups of students, assisting the Nepalese teachers in teaching English classes (this can include taking the whole class or running interactive activities at the beginning or end of the class to support the children´s learning) and teaching English to the Nepalese teachers. 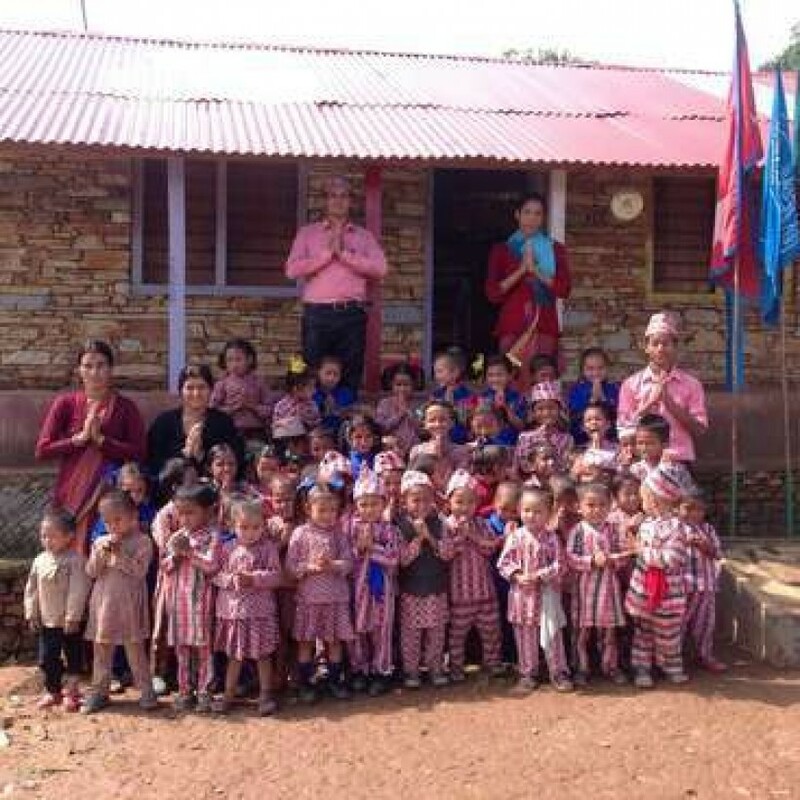 Other tasks include supporting the nursery teacher, cleaning the classrooms at the start of the day, and experienced volunteers are invited to run teacher training workshops about modern teaching methods with the Nepalese teachers. Overall, the aim is to maintain our traditional Nepali customs yet bring in new modern methods of teaching. We ask volunteers to give about four hours help a day in any way you can. The rest of the day is yours! Other than the school we have many projects for the future and we welcome any new ideas that the volunteers can bring. Don’t worry if you think you might not have any relevant skills, there are many ways to help in the school and the children will appreciate your efforts and support. Our school currently welcomes 100 students, aged 3-11 and the school consists of 7 classrooms; Pre-school, Lower Kindergarten, Upper Kindergarten, Grade 1,grade 2 ,grade 3 and grade 4. All students from the village are welcomed irrespective of caste, and we try to help those children, whose parents are unable to pay for school fees, uniforms, books, stationery and meals. 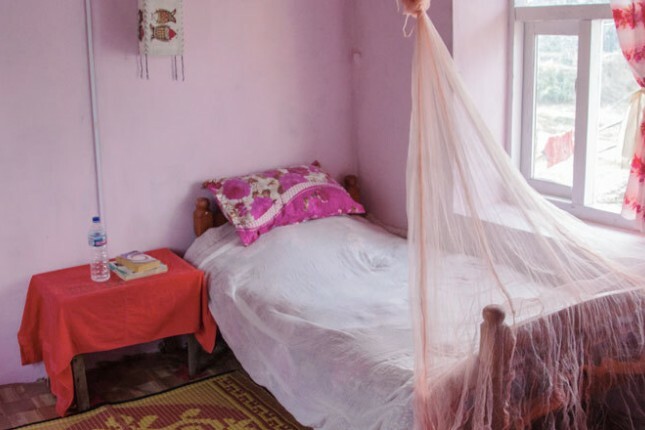 During your time here you will get a strong sense of Nepali village life, and there are many activities you can engage in such as hiking, short walks in the nearby villages, or taking tea with the locals. If you enjoy yoga or meditation the surrounding mountains and the tranquillity of our village create a perfect setting for this. If you want to do a few day trek around Lamjung, we can organize this for you, too. If you like we can also give you some Nepali lessons, so that that you can be acquainted with Nepali culture, history and language, which can be also be useful on any subsequent treks that you may be planning. Sometimes we have campfires, and I can give you a tour of the village where you can try our local wine. We have three Down syndrome children so we also need special volunteer to teach theses children. 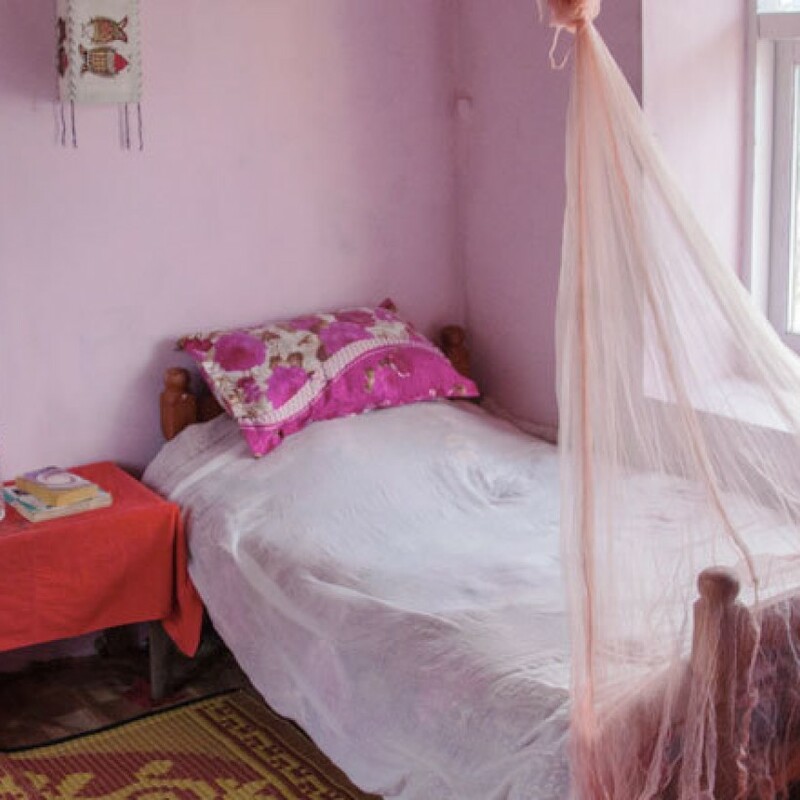 We ask volunteers to pay a small sum of 5 US dollars a day to stay here. This cost includes two meals, tea and coffee, cold showers and free access to wifi. Please also note that the served food is basic, however you are able to stock up on extra items from Besisahar. In addition, we have a local shop, if you want to buy snacks, drinks and other items (such as toilet paper and water). If you like, I can also give each volunteer a certificate at the end of his or her stay, to use for future volunteering or when searching for a job. -We are constructing a building for our new 5th grade class . We will need people to do manual labor- digging holes, moving rocks, etc. -Gardening: We are starting a gardening project to teach the children about agriculture, horticulture and science. The items produced from the garden will also be used in the cooking classes. -Cooking classes: A kitchen is being added to the school to teach the children about hygiene, nutrition and cooking. We are interested in having volunteers help with this project and consider offering to teach the preparation of a dish from their country. We are excited about this activity as it will not only provide good meals for the children, it will expose them to a broad view of food and also provide an opportunity to teach English in an active setting. We expect to have six children at a time participate in the cooking classes which will take place on Saturday afternoons for 2 hours. (Saturday is usually a school day off so the children will attend school for only this event on those days.) If Volunteers are interested in learning how to cook Nepali cuisine, arrangements can be made on request. we have school holiday (summer vacation) from 8th July , 2018 to 20 th of July 2018. During Summer Vacation we ask volunteers to help planting rice, carrying maize from field to house, tutoring weak children and painting school. During that time, we ask volunteers to help to carry rocks, sand , cement and bricks to build grade 5. The Academy will have holidays starting October 6 through October 24 and there will be no volunteer opportunities available at the school. Anyone interested in volunteering in this time frame will be asked to participate in a new project. We will be starting construction of a new school, the Academy, in a neighboring village. The village, Chandisthan (Saring) is about an hour from Ganushahar. Volunteers for this project must be prepared to camp during their visit and should bring tents and sleeping bags as well as water purification tablets. A temporary toilet will be built at the construction site and three meals will be provided. The largest Hindu festival in Nepal, the Dashain Festival will occur on October 17, 18, and 19. On these dates construction will cease and we will return to Gaunshahar to celebrate the festival. If you are interested in volunteering for the construction project in this timeframe, please send an email for information about logistics. In 2017 we initiated our first camping project. The project involved taking the children of grade 3 on a two day camping trip to teach expose them to activities to build their self-confidence and self-reliance. Because of the positive outcome of the project we are going to do it again this year, again with the grade 3 children, likely between 15-17 students. In 2018 we will be camping with the children from November 12-14. If you are interested in participating in this project, please send information about the details related to equipment needed and logistics.